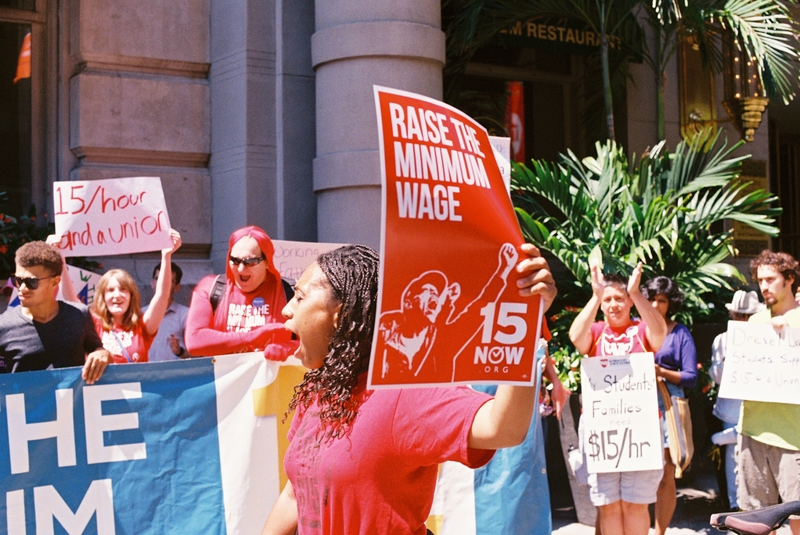 Join the Fight to Raise the Minimum Wage! As soon as Amazon announced its intention to build a second corporate headquarters outside Seattle, elected officials from across the nation predictably responded to its ‘request for proposals’ by tripping over each other in a race to offer massive public subsidies and tax incentives to woo Amazon. Philadelphia’s elected officials from both the Democratic and Republican Parties have behaved no differently. 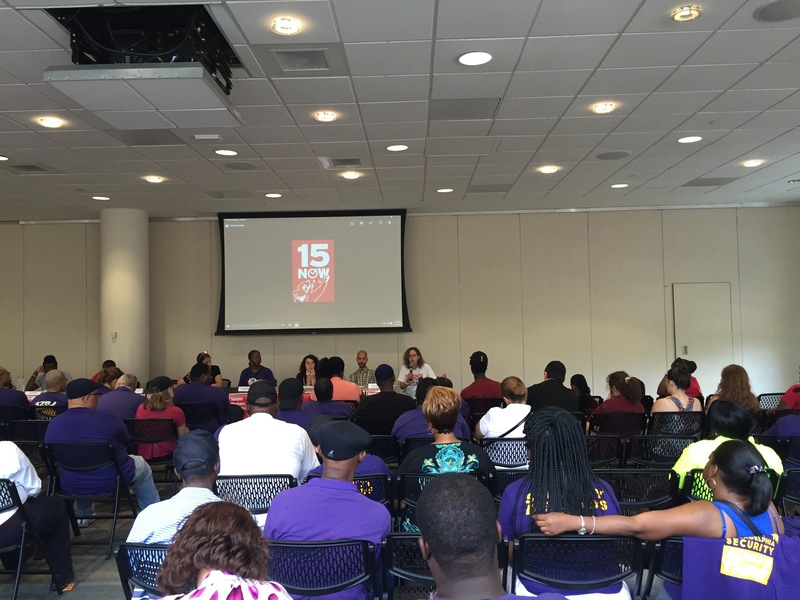 15 Now Philly stands with workers, their unions and other community and faith organizations pushing for the $15 minimum wage in Pennsylvania. Pennsylvania Representative Kim’s bill is the result of the tireless and brave work of low wage workers who repeatedly took the risk to go on strike in fast food restaurants, airports, healthcare facilities, and retail stores across the country and across the state. In Philadelphia and Pittsburgh, hundreds of workers walked off the job to demand $15 and a union. Thousands of local activists and faith leaders in groups like POWER and the MLK Dare Coalition took the streets to support striking workers. 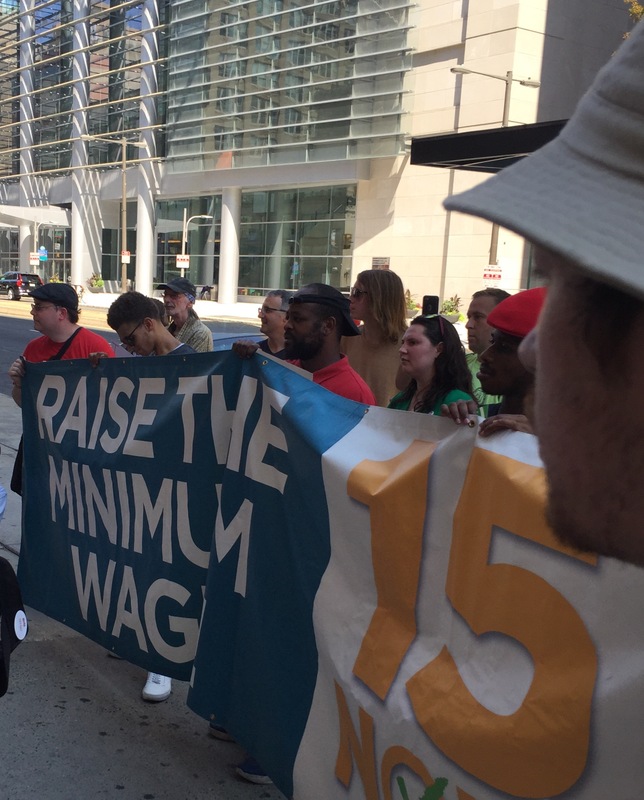 In City Hall, 15 Now Philly members pushed City Council for a local minimum wage hike to at least $15 an hour, in defiance of state opposition to local wage hikes. Together our organizing brought the $15 minimum wage in Philly from an inconceivable pipe dream to a mainstream demand. 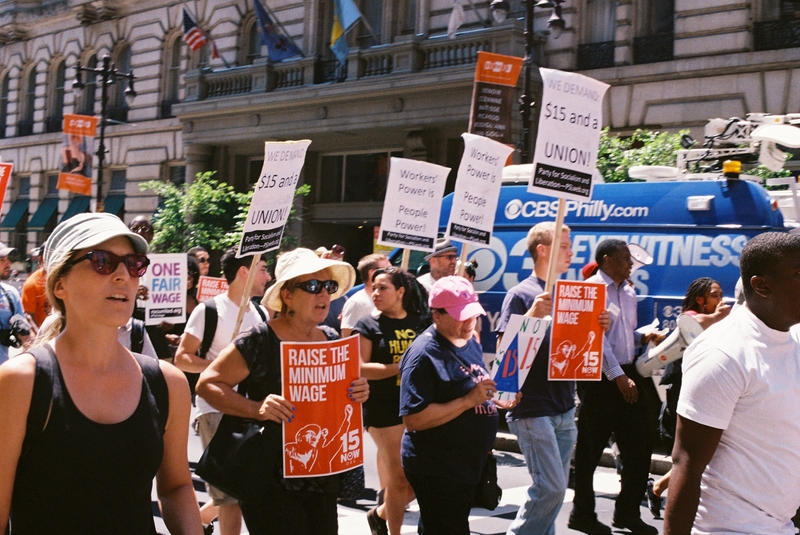 In 2015, Mayor Kenney campaigned on $15 an hour; and now Representative Kim and Senator Daylin Leach have both introduced statewide legislation to raise the wage in PA to $15. This is a victory for workers, and we are hopeful HB 1520 is signed into law as part of the 2017-2018 budget negotiations. Despite these years of hard work, Philadelphia is in crisis. We have the lowest minimum wage in the nation–$7.25 for untipped workers and $2.83 for tipped workers. A full third of our neighbors live in poverty, and 12% live in deep poverty. Every day, working class people and our families are facing life or death choices between housing and medical attention, buying food or maintaining their phone service. Every single surrounding state has taken action on raising the minimum wage; and in the face of income inequality crises like ours, cities across the nation are daring to fight for workers wages. 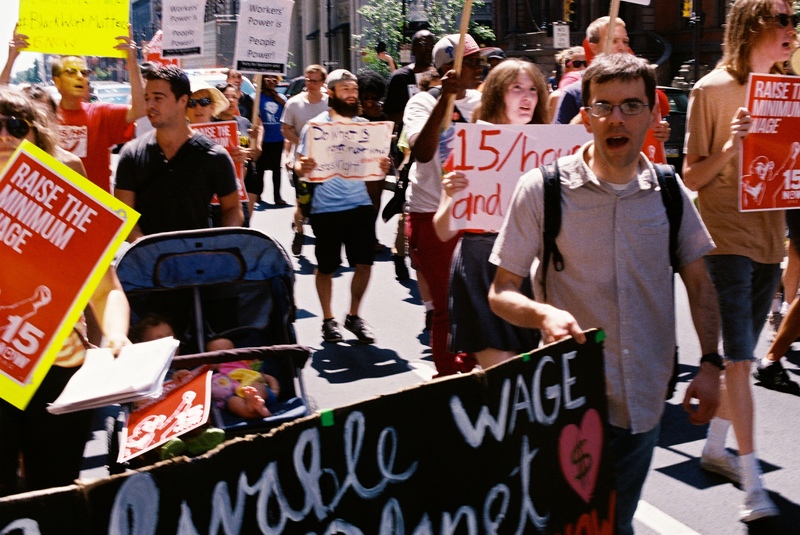 New York city and state fast food workers are on a path to $15. Washington DC voters easily passed a referendum for $15 in 2016. West Coast workers have achieved $15 nearly universally. In Minneapolis, workers won $15 just last week after a tough campaign that lasted several years. The victory was won by building a broad grassroots movement that grew out of an airport struggle for $15. 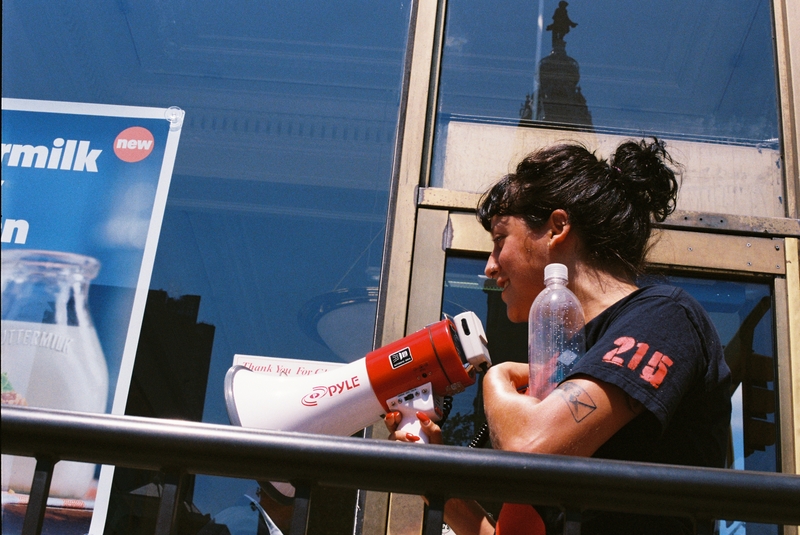 The fight included unions and community organizations and was propelled forward by a third-party electoral challenge to City Council by Socialist Alternative candidate Ginger Jentzen, who is also the executive director of 15 Now Minnesota. In Philadelphia, now is the time for serious action. Jim Kenney and many City Council members campaigned and were elected overwhelmingly on the demand for $15 an hour. 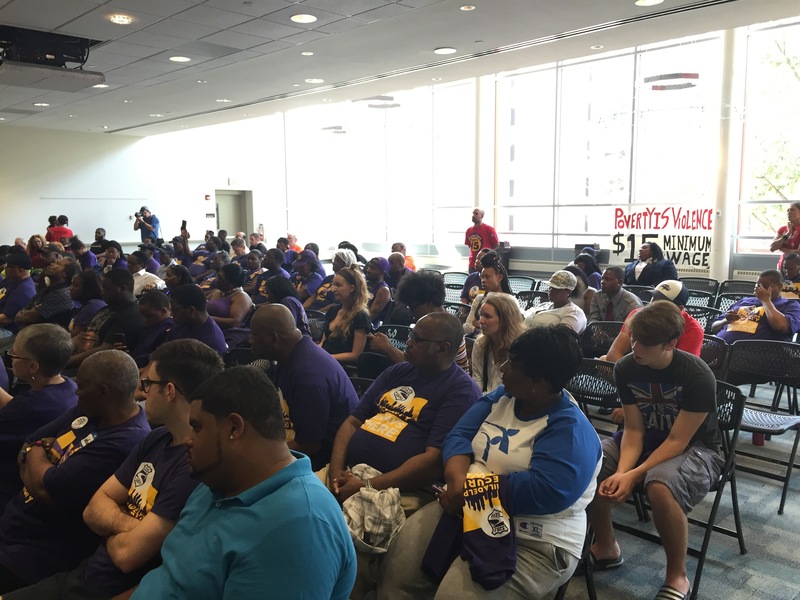 In fact, polls show 87% of Philadelphians support a $15 minimum wage. 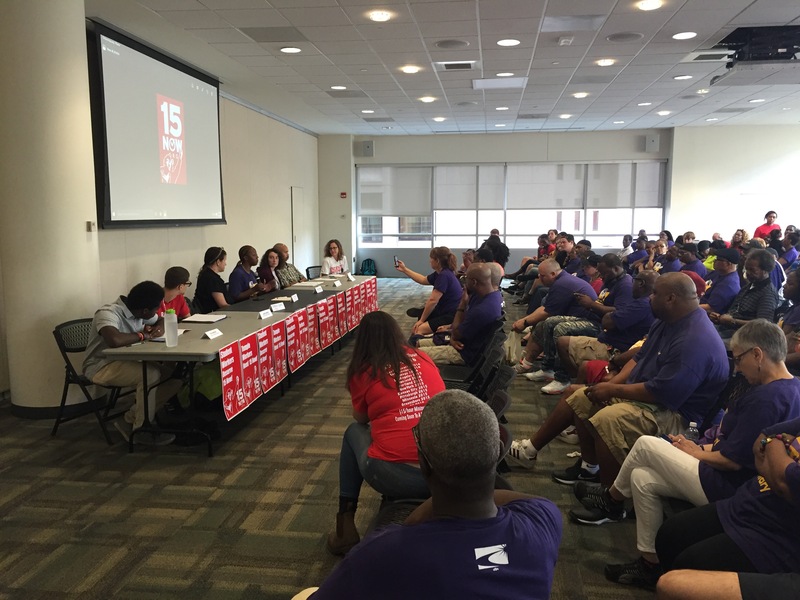 15 Now Philly is fully aware Harrisburg believes it holds the legal monopoly on passing minimum wage legislation. 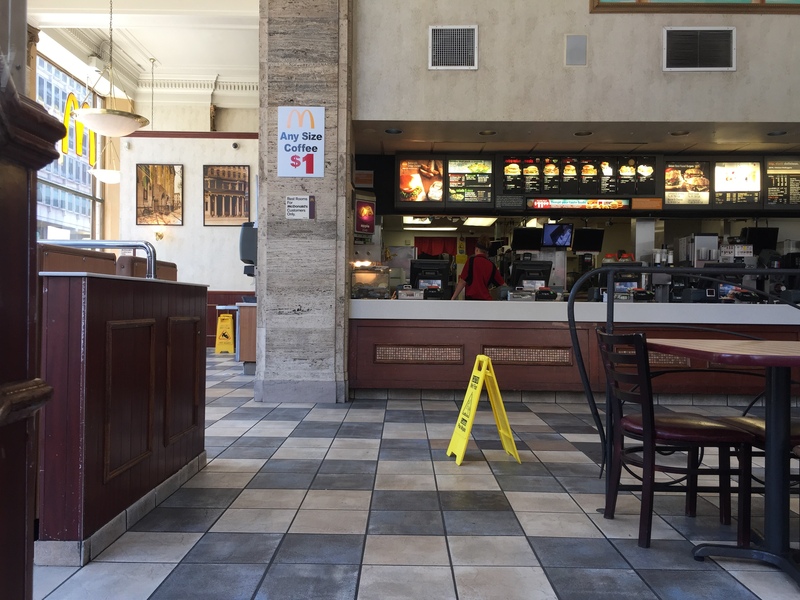 Republicans, corporate Democrats, and big business have intentionally constructed barriers to a minimum wage hike in Philadelphia with the 2009 preemption law. They intend to keep our city powerless to confront our own wage crisis. It is Philadelphia’s extreme poverty, however, that places our whole city in a state of emergency. We cannot settle for politicians unwilling to take dramatic action to face this emergency. If Harrisburg lawmakers do not pass this bill as part of the closed-door budget negotiations, we call on Pennsylvania Democrats to continue to push this stand-alone bill forward after the budget is settled. 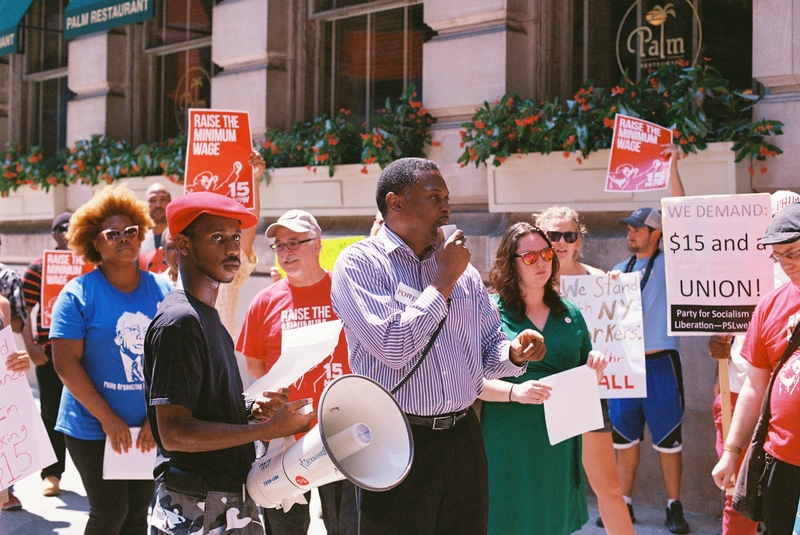 Pennsylvania workers demand a raise, and our State legislators must prioritize minimum wage legislation all year long, not just as leverage in the yearly budget negotiations. 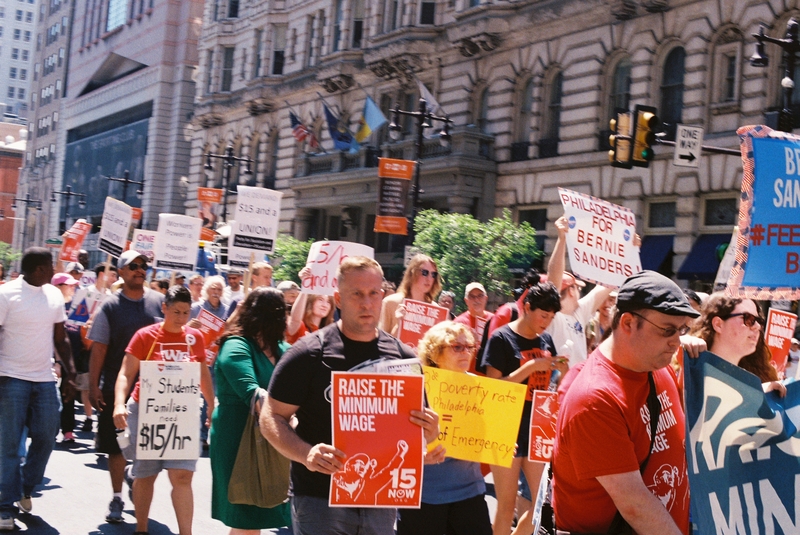 Locally, we again call on our local Democratic elected officials in City Council and Mayor Jim Kenney to pass binding $15 minimum wage legislation immediately, in defiance of the Pennsylvania’s preemption law. We must confront this unjust law head on. Workers, unions and community organizations must build and maintain a mass movement in the streets to win any wage hike in Philadelphia. We know Trump and the GOP in Washington, DC and Harrisburg will continue to reduce our wages, assault our health care, deport our immigrant neighbors, and expand mass incarceration and police violence in our communities until we unite and expand our fight back. Philadelphia’s elected officials, however, can stand up to these attacks with us and make Philadelphia a true sanctuary city. Doing whatever it takes to win a $15 minimum wage is a critical piece of making our city a safe haven for working people. Temple University claims to pride itself on its dedication to diversity and access. But how can it value these things if its students live in fear of deportation, fear of violence from police, fear of sexual assault from fellow students, fear of not being able to afford classes, or fear of losing the community they grew up in? Temple’s responsibility as a institution of higher education should be to provide safety to its students so that they can get the best education possible. Temple has an obligation to declare itself a sanctuary, a safe-haven not only for immigrants, but for all. A true sanctuary campus would guarantee a living wage of at least $15/hr, unobstructed union rights, and increased mental health services. A sanctuary university would be a university that prioritizes the safety of women, LGBTQI people, and people of color rather than breeding a culture of sexual and racial violence. A sanctuary university would respect and uplift the surrounding Black community rather than aggressively gentrifying the neighborhood and pushing people out of their homes. The students and faculty have spoken, we support undocumented immigrants. If Temple wants to support its student body, and support vulnerable populations in this dangerous political climate, these are the steps your students are demanding. Temple has the opportunity to be a truly inclusive institution, showing in practice that you care about the humanity of each member of the diverse Temple community, and we are demanding that you take this opportunity to openly demonstrate your commitment to making Temple University an institution that values its student body and the people it employs. Although Philadelphia is considered a sanctuary city, we call on Temple University to publicly declare itself a sanctuary campus. Students and workers on campus need to know that Temple will remain committed to their safety regardless of the city’s sanctuary status. But we do not think that Temple calling itself a sanctuary is enough; we encourage the Temple administration to take direct steps to make the university more accessible to undocumented people. Our university should function as a safe haven where undocumented people and all marginalized communities can turn for support and sanctuary. Institute a policy prohibiting campus police from inquiring about immigration status, enforcing immigration laws, participating with ICE/CBP in actions and refusing to cooperate with any ‘registration’ system that seeks to target or surveil Muslims. Revise the code of conduct to make sure anti-discrimination policy includes immigration status. Provide resources including legal services for undocumented students and their families. Grant in-state tuition to undocumented students who are Pennsylvania residents. We would be happy to discuss this further with the administration so that collectively we can create the best possible plan to make Temple a sanctuary for all. 15 Now and Stadium Stompers welcome the removal of Neil Theobald from the presidency of Temple University. Theobald ignored the voices of community, workers, students and faculty forcing us to protest in order to be heard. 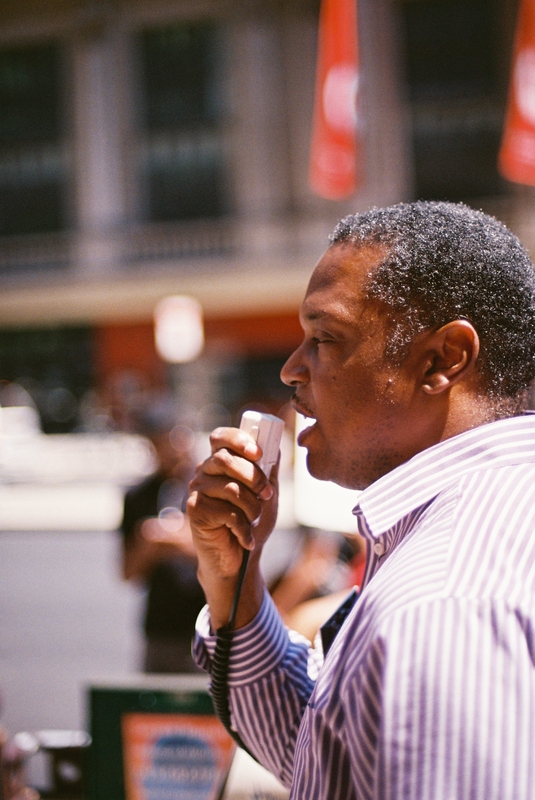 Throughout his tenure Theobald’s policies harmed North Philadelphia, a historic black community, by furthering gentrification and displacement and by refusing to pay workers at Temple a living wage of $15/hour. We hope that whoever the board chooses as his replacement will approach the community with dignity and respect. The board must now abandon President Theobald’s disastrous proposal to build a stadium in North Philadelphia. Temple Workers Need 15 Now! Join us on Tuesday, October 13th as Temple U students and workers publicly kick off their campaign with a large action on campus! 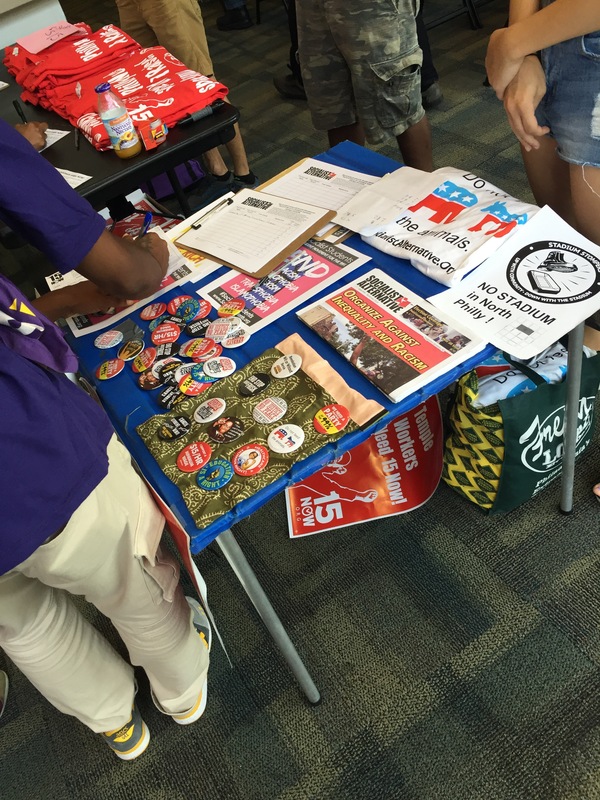 Come out to demand a $15 minimum wage at Temple! 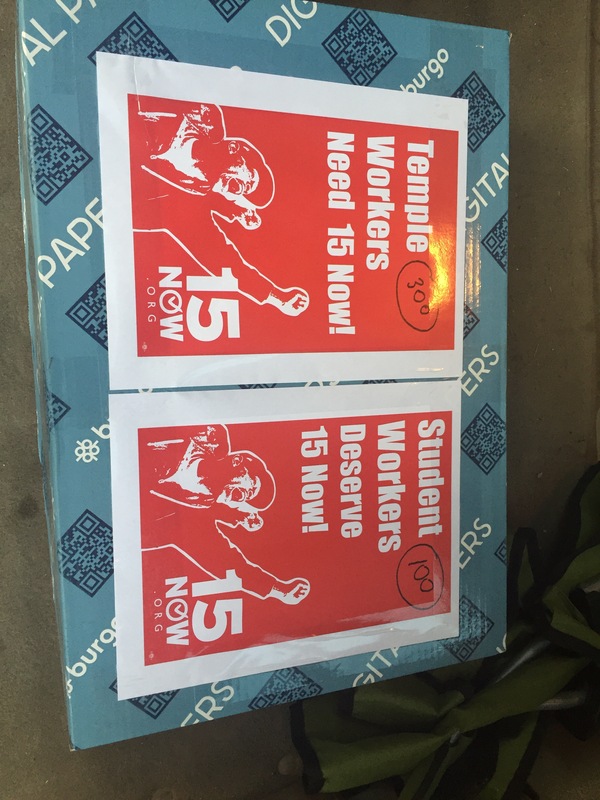 The student-led branch of 15 Now at Temple has been working hard this semester to build their organization and work with the unions representing campus workers. Nearly all the campus unions have endorsed the campaign, and dozens of student workers have shown up to weekly meetings. Temple has already started fighting back by making it difficult for 15 Now to reserve rooms and canvass on campus. President Theobald has been refusing to meet with students to discuss campus wages for over 6 months. We are ready to do what it takes to win. we are here today to remind the political leadership of Philadelphia of their commitments to the workers of this city. Did you know that there is legislation sitting in committee in City Council that would have let Philadelphia vote on raising the minimum wage this November? Did you know that rather than openly oppose this initiative, the Chamber of Commerce worked behind the scenes to block it with procedure and bureaucracy? Well we are here today to remind the political leadership of Philadelphia of their commitments to the workers of this city. We are here today to let them know that we have their back if they take a risk and stand with us to challenge the Chamber of Commerce and Harrisburg by raising the Minimum Wage in Philly. We are here today to let them know that if they are not true to their promises, if they hide behind the unjust laws that keep 200,000 working Philadelphians in poverty then we are ready to do what it takes to win. By any means necessary. In Seattle it took the Unions, active grassroots campaigning, community allies, and an independent socialist City Councilor working together, negotiating strategy and tactics, building alliances, working through disagreements, but all pushing in the same direction to win 15. And we had to piss off a lot of politicians along the way. In Philadelphia, the fight for a $15 minimum wage is one of the most challenging fights there is. We are not Seattle. We are not SanFrancisco. We are not LA. We are the poorest major city in the country. 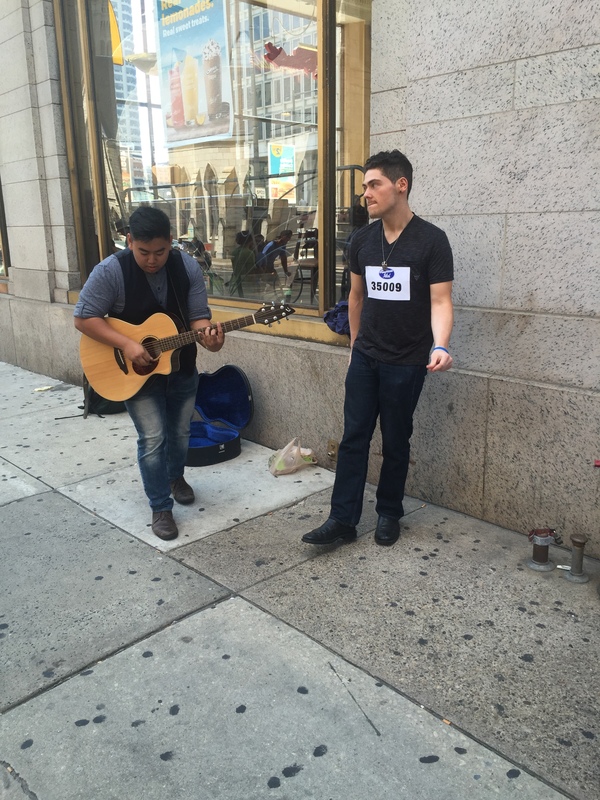 The majority of Philadelphians are people of color. And we are an overwhelmingly working class city in a state that has taken our rights away at every turn. Harrisburg and the Chamber of Commerce that controls it will fight against every gain for working class people in Philly and across the state. And even when we win, they will fight to take it away. They have told us we can’t raise our minimum wage. Told us we can’t govern our own schools. Told us we can’t pass our own gun control laws. It is a story of abolitionists, socialists, working class radicals, and civil rights fighters. these struggles have been organically linked with the Civil Rights movement. 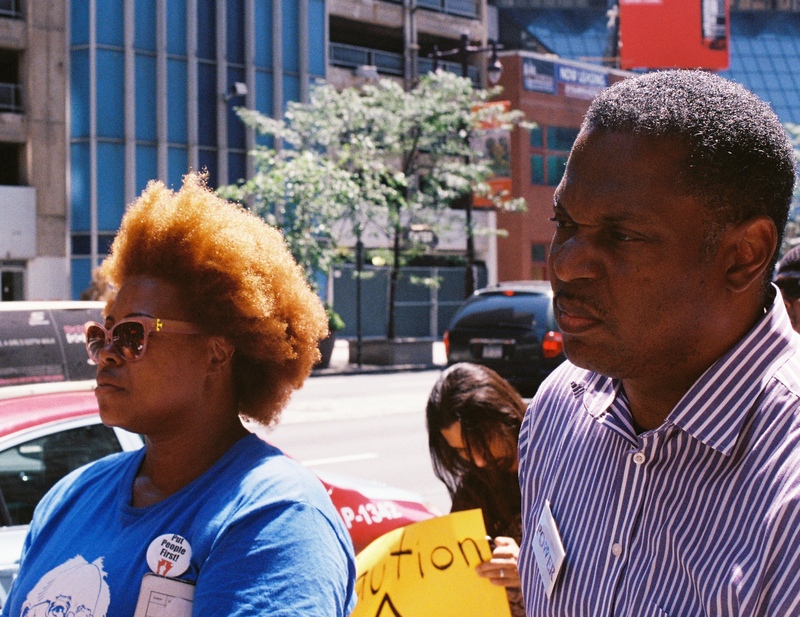 The fights to build multiracial unions. Don’t shop where you can’t work. For Affordable Housing. For Civil Service reform that opened the doors to city jobs to women and minorities based on qualifications instead of race, gender or political connections. Who was on the other side for all these struggles? Who opposed change at every turn and worked against the tide? Who played every card in the deck to keep us divided by race and gender? The Chamber of Commerce. And many others who hide behind the scenes of history. Rich white men who fought to defend their class interests, the interests of the bosses in this city and the state of PA. And what are their interests? low wages and long hours, union-busting, and a working class divided by racial, gender, ethnic, and economic lines. Make no doubt about it, we face strong, well funded opponents who know what they want and are willing to go to great lengths to defend their power, privilege and wealth. Because the one thing they fear most is a militant, united, multi racial, multi gendered working class movement. We cannot match the Chamber dollar for dollar. We cannot beat the Chamber at their own game. We know they will never give us 15. They have never given us anything. Everything we have, we had to fight for. 1- Governor Wolf and his allies in Harrisburg who say they support higher wages to follow NY Governor Cuomo’s lead and do whatever it takes to raise the minimum wage AND allow cities in Pennsylvania to set our own wages. 2 – Democratic Mayoral nominee Jim Kenney to stay strong in his support for a $15 minimum wage, to be a leader and advocate for raising the minimum wage and support binding legislation. 3- A new City Council to introduce and pass binding legislation to raise the minimum wage in Philadelphia. 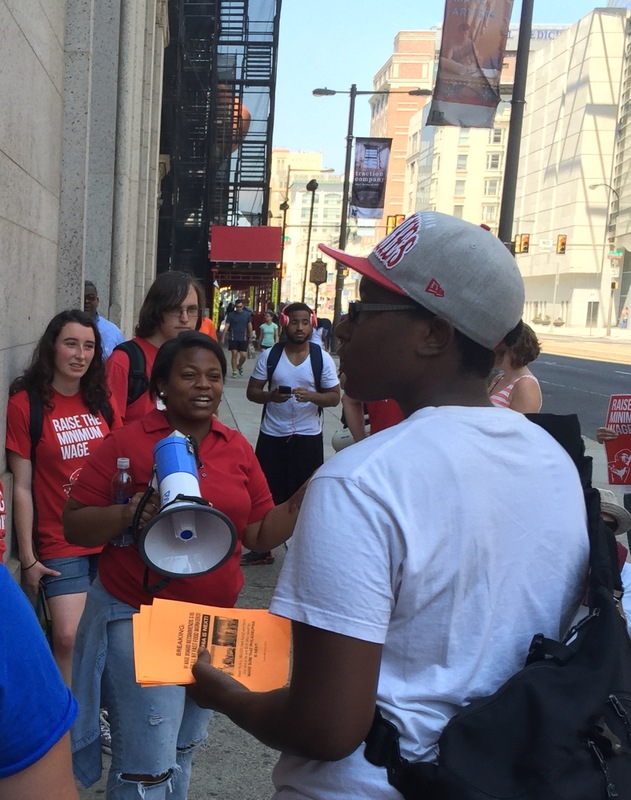 On August 15th there were rallies and direct actions in Philly, Lancaster, Lehigh Valley, and Pittsburgh to call out Harrisburg’s inaction on raising the state minimum wage. In Philly 15now was joined by allies from POWER, Fight For 15, Philly for Bernie, Green Party City Council Candidate Kristin Combs, Neighborhood networks, ROC, Temple 15now, Drexel law students and many others. 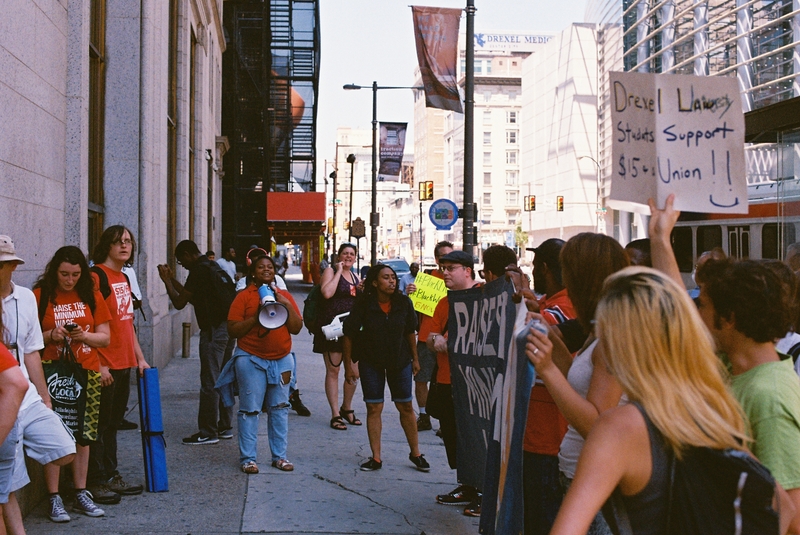 We rallied at the Chamber of Commerce offices at 200 S Broad, then marched to Dillworth Plaza for closing remarks then shut down the McDonalds at Broad and Arch for 4 hours.